O2 will be hitting 4G hard when it comes to launch its superfast service later this year, but realises EE does have the upper hand. TechRadar spoke to Gary Booker, Consumer General Manager at O2 during the launch event of O2 Refresh to find out what the bubble-friendly network had in store for those eager to jump on its 4G bandwagon. 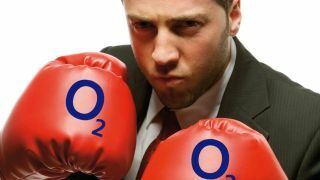 We asked if O2 would be looking to push out its LTE service quickly, to which Brooker responded: "We will have a very, very accelerated roll out of 4G, it's mind-blowingly aggressive compared to our UK 3G rollout." "We are going to have a very, very fast rollout of 4G. Sure EE is going to be ahead of us, sure we'll be playing catch up - there will be some months where we'll be doing that." Brooker doesn't see EE's early 4G launch as an issue when it comes to attracting customers to O2's rival service later this year, saying: "EE have done a very good job. They got out early but I think it's fair to say they haven't got traction in the market. "They are doing a good job at promoting 4G and educating consumers, but it's new and I think a lot of customers are holding on for two things. "Consumers are holding on for their preferred network to have 4G and they're holding on for a device they really want to use on that network." EE's advantage in the 4G market will be huge with an expected 70 per cent population coverage by the end of year, just as the likes of Three, Vodafone and of course O2 will be putting their services online and Brooker confirms O2 isn't resting on its laurels. "We're investing everything in making sure our customers get 4G as quickly as possible and when we get into the summer and we announce our plans we can give you more information on that." Until then we're going to have to sit tight and see if EE can capitalise on its early advantage, or whether people really are holding out for better deals and more choice when it comes to 4G.